Matt earned his B.S. in health and sciences and his Master of physical therapy both from Quinnipiac University as a 5 year dual program. He has been practicing in the DC metro area since 2001. 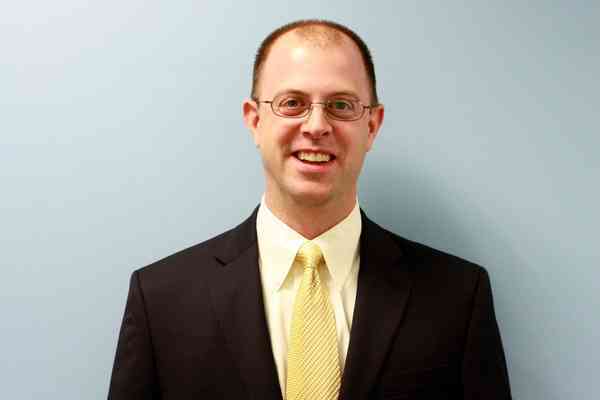 He began his career as a general physical therapist before joining CAO as the Director of Physical Therapy for the Falls Church location in 2007 and specializing in the foot and ankle. Matt has participated in multiple continuing education courses targeting foot and ankle injuries and diagnoses. He has also had training in the Graston Technique of soft tissue mobilization and he is a certified in Functional Dry Needling. Matt is a certified clinical instructor through the APTA and enjoys working with student therapists from local universities who complete their physical therapy internships at CAO. He serves on the Physical Therapy Taskforce which guides the direction of the physical therapy divisions throughout the corporation. Matt’s primary area of interest is post-surgical physical therapy and assistance with returning patients to normal gait mechanics.